Cookbook for Hemochromatosis - Coming Soon! Enter your email address below to be the first to know when the book, Cooking for Hemochromatosis, is available! Sign up today and you will also receive 20+ in-depth & empowering articles with actionable tips that will help assist you on your journey with hemochromatosis. 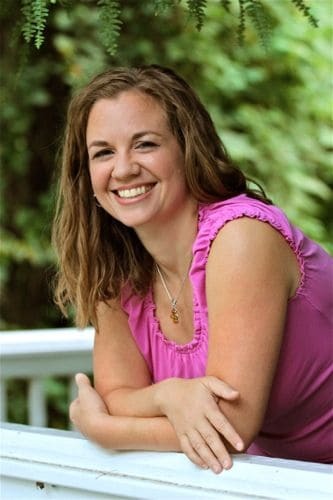 Dr. Kristina Lewis is a naturopathic physician in practice with her husband, Dr. Eric Lewis, in Asheville, North Carolina. When her husband discovered he had hereditary hemochromatosis and founded the website HemochromatosisHelp.com, she became very involved in researching, writing, and teaching about this condition both as a health-care practitioner and as a concerned wife. After the publication of Dr. Eric’s book, Holistic Health for Hemochromatosis, it became clear that a companion guide with recipes and cooking instruction was what the readers of Hemochromatosis Help needed next. As someone who naturally loves to cook and who finds inventing tasty and healthy recipes a fun challenge, Dr. Kristina decided to take on the challenge of creating a cookbook for hemochromatosis from a holistic perspective. Little did she realize at the time what an involved project this would become! More than two years and countless hours later, she is excited to finally share her recipe inspirations with the world. Dr. Kristina Lewis is an honors graduate holding a doctorate in naturopathic medicine from the Southwest College of Naturopathic Medicine in Tempe, Arizona. In her private practice she works with women on a wide range of health issues, including iron overload. She and Dr. Eric have two young children and she is fully enjoying being a mother as well as a doctor!